2015 is upon us and our friend Juliet R. Harrison is showing no signs of slowing down. 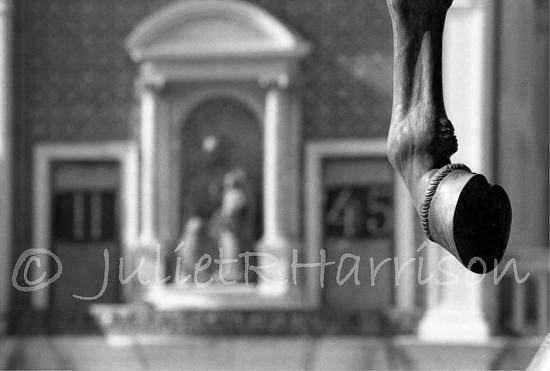 She has recently released another folio of photos, titled The Horses of San Marco. Limited to only 15 copies, the folio is comprised of eight signed 81/2″x11″ prints on archival cotton rag paper. Harrison’s work has long been entwined with the equestrian world , and these follow suit. The Horses of San Marco are a quartet of bronze horses pulling a carriage in front of the San Marco Basilica in Venice Italy. In addition to working on my own imagery and running the Equis Art Gallery (which is heading into its second year) I will be teaching a class in the Lifetime Learning Institute of Bard Collage. The class is called Horses of the Hudson Valley and is designed to introduce students to some of the wonderful equine oriented businesses and locations that operate in the mid-Hudson Valley. I am really looking forward to sharing some of the places I have been fortunate enough to find and explore so close to home. I am energized to begin this new year and would love to hear from everyone if you have plans to visit. I would be thrilled to show you around the gallery and visit with my friends and fans. These will only be available for special order while supplies last. Each folio is offered at a price of $220.00.